Crab Winches (Manually Operated & Controlled) are Robust in Construction can withstand in heavy stress conditions easy to operate. - Side Frame: Reinforced, rectangular side frame made out of MS Plates, angles, etc. duly welded and fabricated. 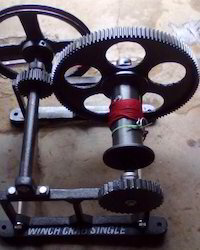 We are Supplier of hand operated manual Crab winches according to the buyers requirement from 2 ton to 20 ton capacity. Our enterprise is emerged as front-runners when it comes to trading and supplying Manual Crab Winch. Our manual crab winch is specially developed for heavy-duty purposes. 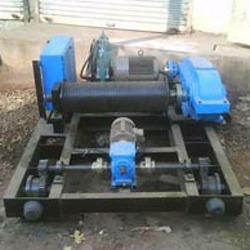 Customers can avail these superior quality winches in varied specifications as per the clients requirements.